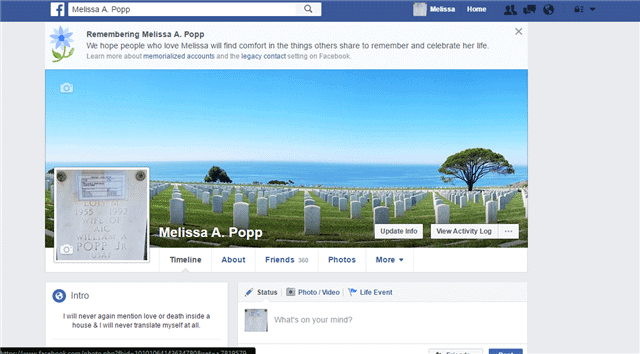 How to Memorialize or Delete Your Facebook Account After Your Die? Facebook recently “killed off” many of its members as it rolled out a new feature that allows users to determine what happens to their Facebook account after they die. 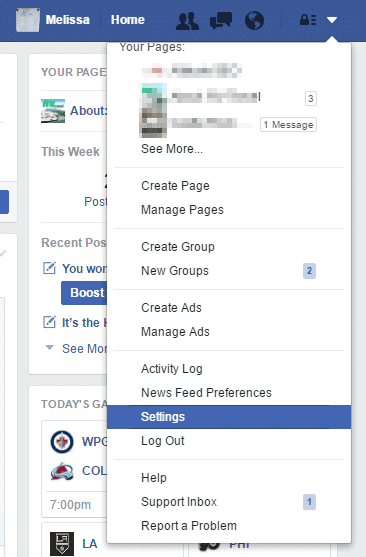 This new feature allows users to set a designated contact that can reach out to Facebook after you pass away to let them know. From there, the choices you made before you die on what happens to your account will go into effect. 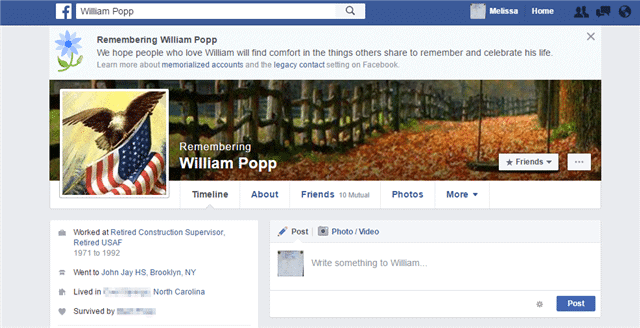 Right now, can choose to memorialize your Facebook account or permanently delete it. Death is an undeniable reality and it’s always better to be prepared. This guide essentially answers the question: “What happens to my Facebook Account After I die?” This is equivalent to a digital will that you leave behind. This is one feature that Facebook should have introduced much earlier. 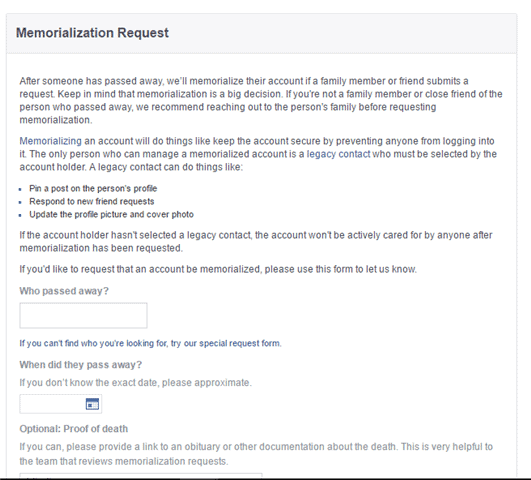 There are basicallay 2 things that can be done to a persons Facebook Account after they pass away. 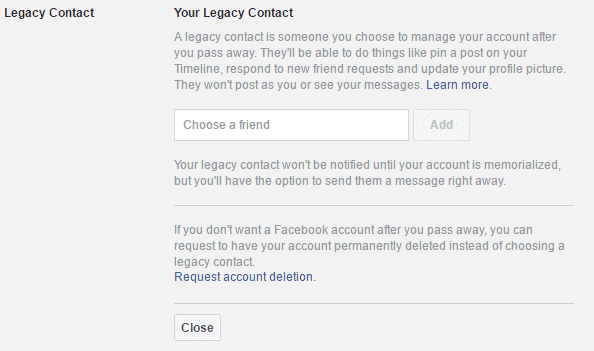 Your “legacy contact” (explained below) can either memorialize your Facebook Account or delete it, based on your wishes. By memorializing your Facebook account, you allow it to continue to function to remember you. This allows family and friends to leave messages and tweaks the account in subtle ways. Only those connected with you already on Facebook will be able to comment on the page, the word “Remembering” will be placed next to your name, and all content shared on your page will still be shared with those connected to you. Your profile will no longer show up as a birthday or memory remind to those who have friended you. Enter a family or friend you trust as your Legacy Contact, then click “Add.” This person must be on Facebook for this to work. This person should have access to key documents after you pass away that they will be required to give Facebook to prove you passed away and that memorialization should occur. By deleting your Facebook profile after you die, you simply erase yourself from the social network site. Depending on how you used Facebook, you may not want to memorialize yourself or keep your profile standing. That’s where deleting the profile comes into play. A pop-up will appear allowing you to request this after you pass, click “Delete After Death” to do just that. You can always go back and change this option down the line if necessary by visiting the same area and revoking the deletion request. After you pass away, someone will need to contact Facebook to let them know you’ve passed away. This is the only way Facebook will be able to follow through with the request. With more people using social media across a variety of channels, Facebook is one of the first to step up and allow users to set options for what happens after they pass. While this may seem like a morbid topic, it’s something necessary in our growingly social world.